Hello! 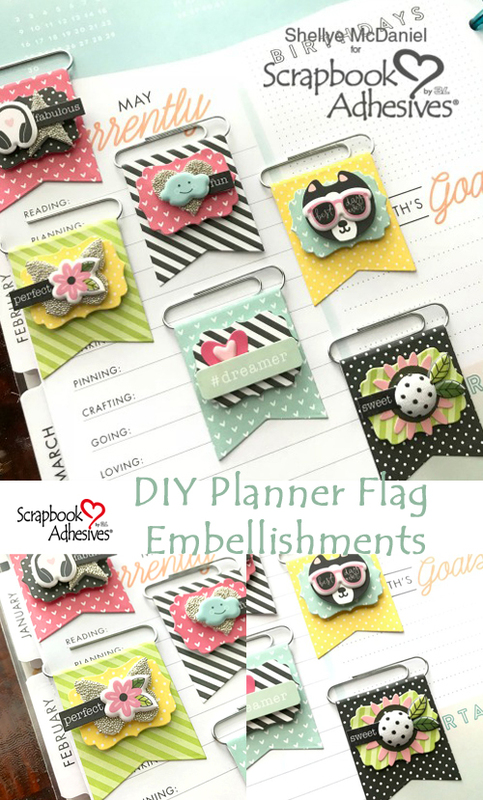 Shellye McDaniel here with a craft that I just love to make Planner Flag Embellishments. 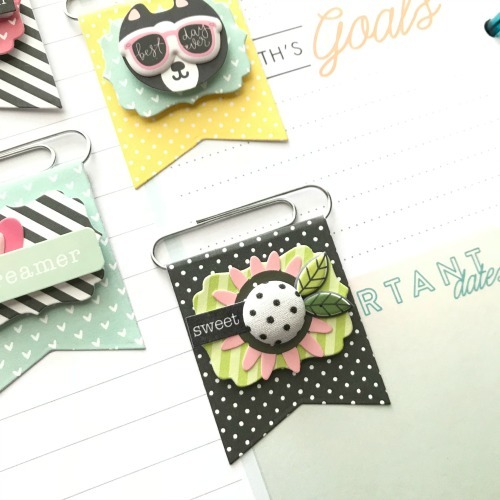 You can use any size paper clips and die-cut paper flags to create your own! 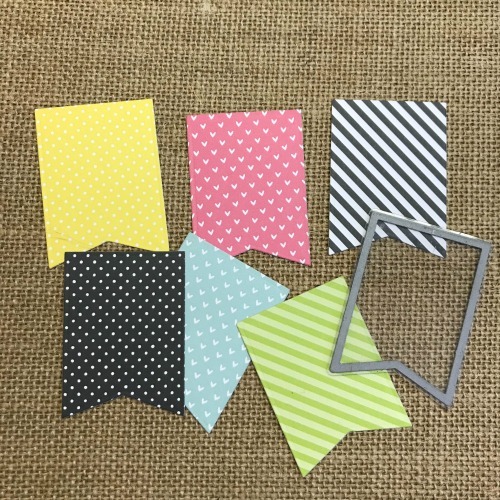 I used a banner die that measures approximately 2″ wide and die-cut six of the shape from various patterned papers. 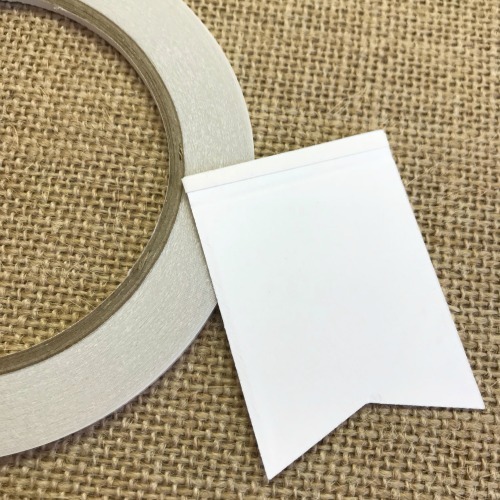 Score each of the banners 1/4″ from the top and add a strip of the Premium Double-Sided Tape 1/4in to the scored area. 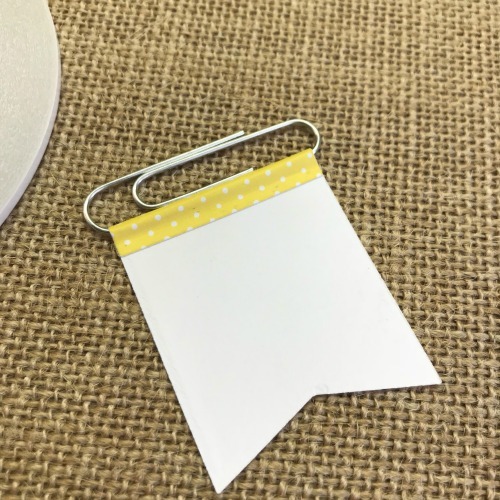 Next, I folded the banner over the leg of a jumbo paper clip, using the double-sided tape to secure it in place. Onto the embellishing and the fun part! 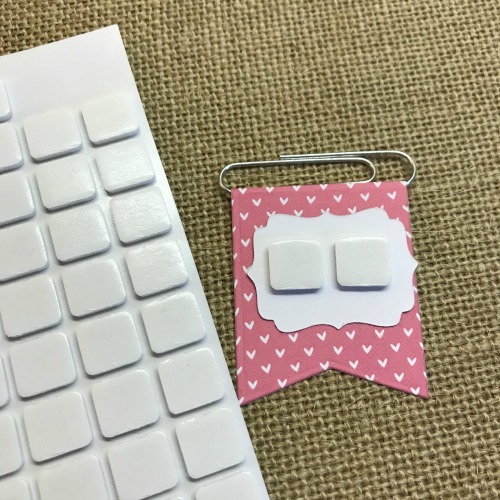 Take the 3D Foam Squares and attached them to the backs of the smaller labels. Center the labels onto the banner and they’re now ready for decorating! 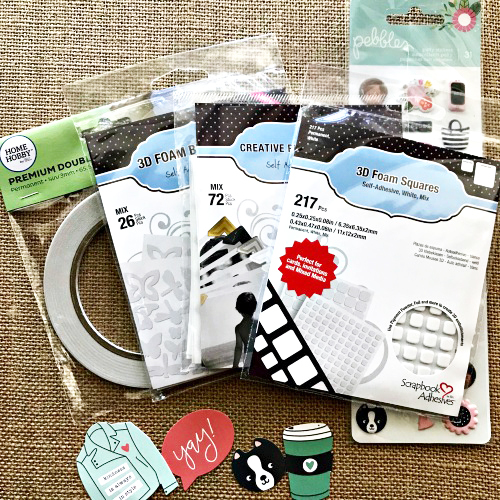 Grab packages of 3D Foam Butterflies, 3D Foam Hearts and the stars from the 3D Foam Holiday Embellishment Kit. 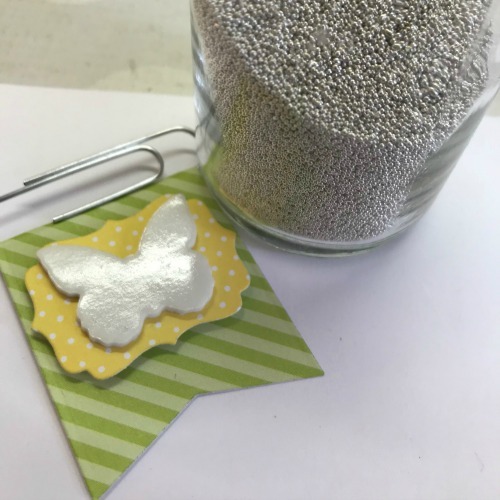 After adding those to the banners, I sprinkled on some silver beads for great texture. 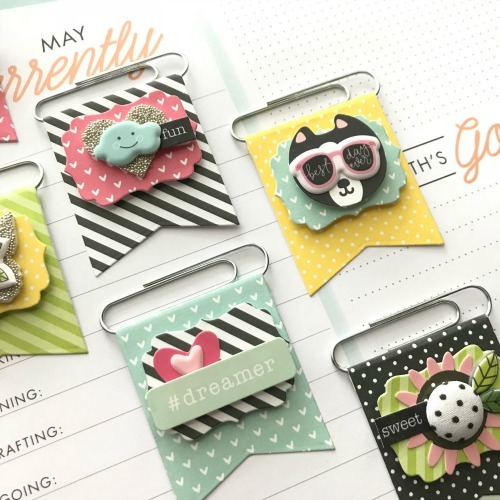 The cutest flat-back fabric buttons came in the mail just in time to add one to a banner! 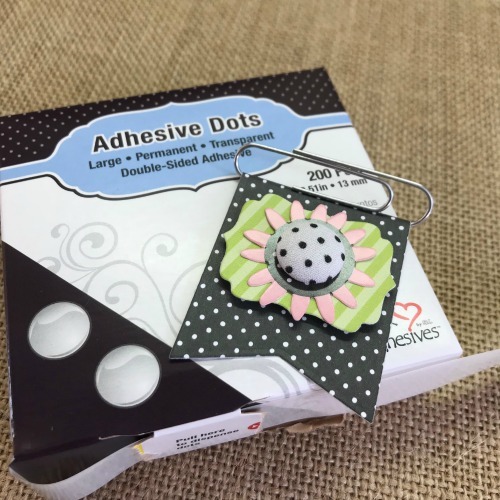 I used the Adhesive Dots Large to attach to the center of a flower sticker. 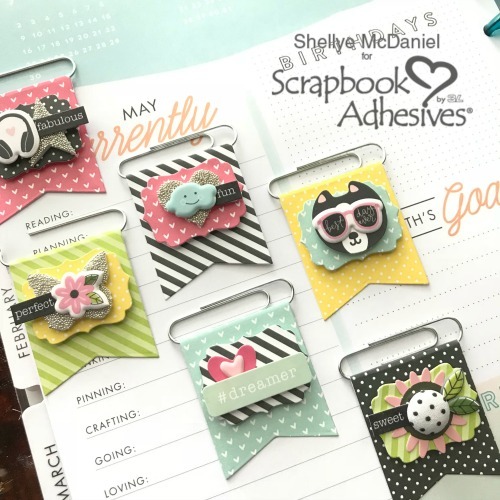 Any of your favorite Scrapbook Adhesives by 3L® products will surely work perfectly when you get ready to craft your DIY Planner Flag Embellishments! This entry was posted in 3D Foam Shapes, 3D Foam Squares, 3D Projects, Adhesives, Beginner, Crafts & Tutorials, Embellishments, HomeHobby by 3L, Permanent Adhesive, Planners, Premium Double-Sided Tapes, Skill Level, Tutorial, Wear your Adhesive on the Outside and tagged 3D Foam Butterflies, 3D Foam Hearts, 3D Foam Holiday Embellishment Kit with Foil, 3D Foam Squares Mix White, 3D Foam Squares Regular White, Embellishments, HomeHobby by 3L, Planner, Premium Double-Sided Tape 1/4", Shellye McDaniel, Tutorial, Wear Your Adhesive on the Outside. Bookmark the permalink. 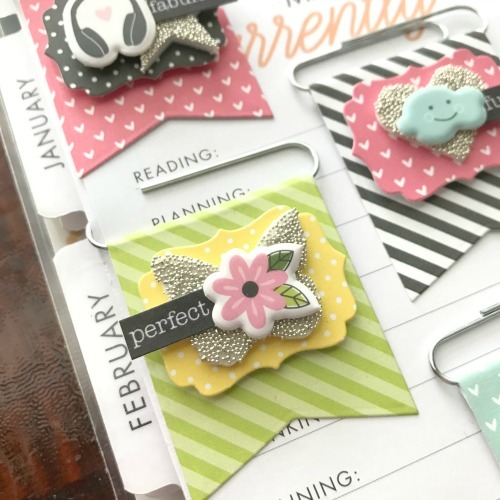 3 Responses to "DIY Planner Flag Embellishments"